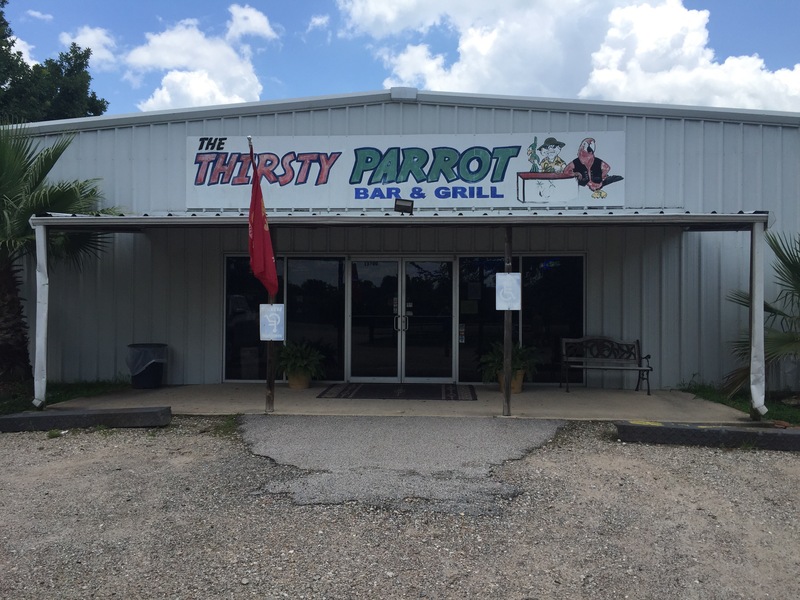 The Thirsty Parrot has been on my list of places to visit ever since I first drove past the place a few years ago. Located on FM 359 in what remains of Monaville in Waller County, you can hardly miss the place. As for Monaville, it’s been around for a while. In 1886, a fellow named Daniel C. Singletary opened the first post office and grocery store and named the community in honor of his daughter Mona. Monaville never made it big. As a matter of fact, it never even made it small. There is not much left to see in Monaville. The Thirsty Parrot has been around for a while. 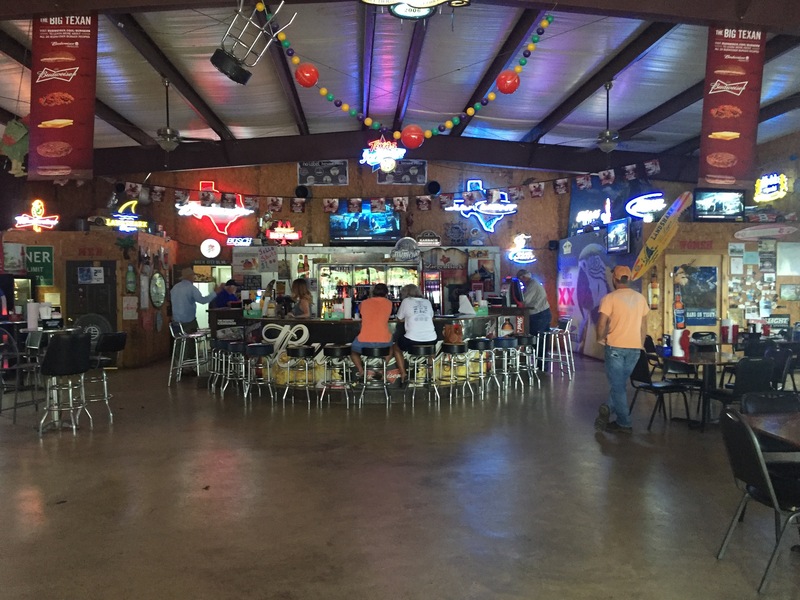 It is a favorite watering hole for bikers, road trippers, farmers and ranchers, and families. I was happy to learn that the regional chapter of Bikers Against Child Abuse gather at The Thirsty Parrot. Love what these guys do to protect and champion the rights of abused kids. I finally had the opportunity to go to The Thirsty Parrot when a friend invited me to lunch. 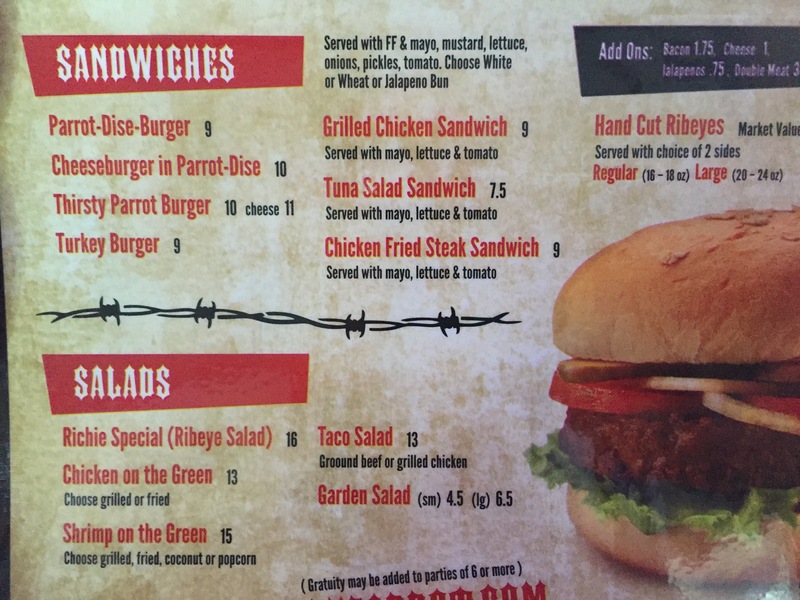 “Have you ever eaten a burger at The Thirsty Parrot?” was all he had to ask. I was all in for the thirty minute road trip from Katy to Monaville to finally sample one of their burgers. When we arrived we met a friend, a Vietnam veteran who farms near Monaville. Love our veterans. I ordered my usual cheeseburger, a side of fries, and a tall glass of iced tea and then waited with anticipation. My friends and I were deep in conversation when our food arrived. Time to stop talking and start eating. Ok — so one bite and I knew immediately that this was one of the best burgers I have tasted since I started my search for the best burgers in Texas. Holy smoke it was absolutely delicious. The meat was cooked to perfection. The bread was moist and the veggies crispy. Even the fries were delicious. 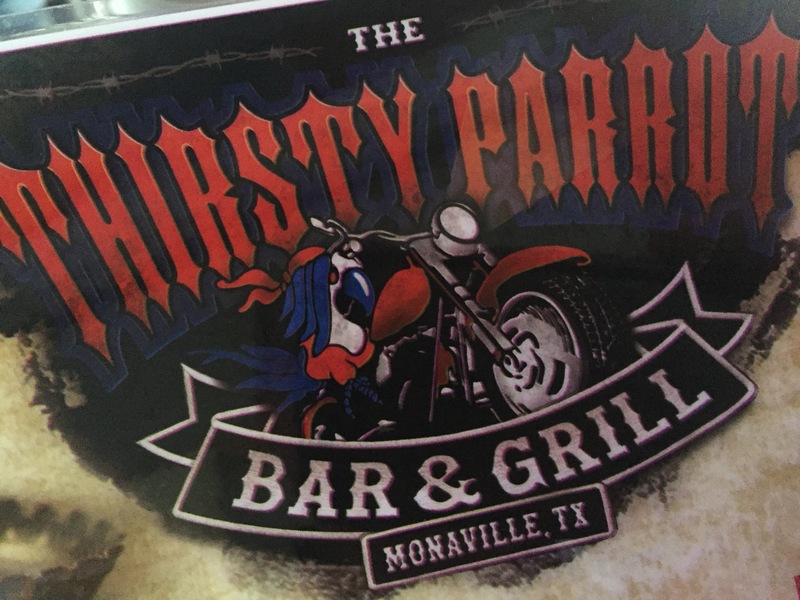 My only regret was that I had waited so long to make the short trip from Katy to Monaville to eat at The Thirsty Parrot. Not only was my burger amazing, the service was good, the place was clean, and the conversation was great. Rarely do I put a burger joint or eatery on my list of places to visit a second time, but this place made it to the top of that list. 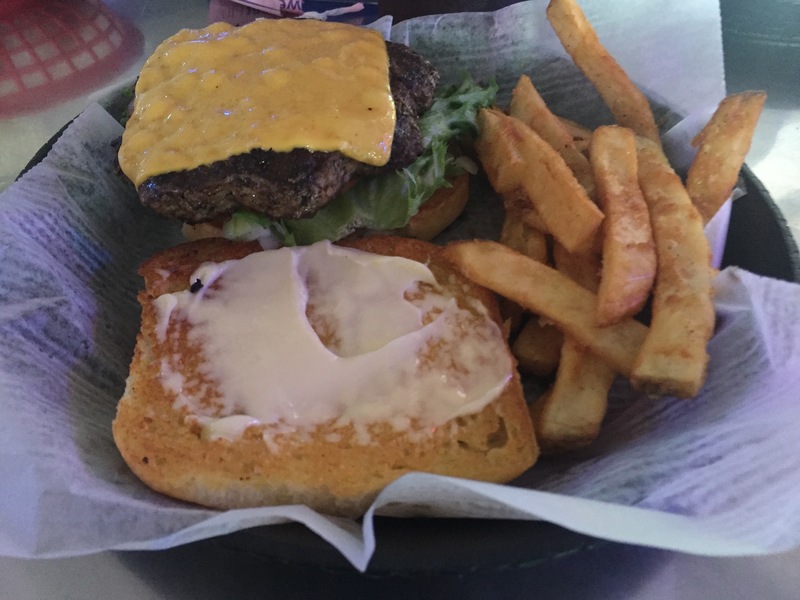 If you find yourself anywhere near Monaville at lunchtime, you owe it to yourself to stop by The Thirsty Parrot to try one of their delicious burgers. Don’t let the motorcycles spook you. This is a good place to grab a bite of lunch that you won’t soon forget. I have learned that you’ll find the best burgers in the Lone Star State in the most unlikely places. So, drive past the fast food eateries and discover an interesting burger joint near you. And please don’t wait as long as I did to discover a great placed to eat — like The Thirsty Parrot. This entry was posted in Places To Eat and tagged BACA, Bikers Against Child Abuse, Burger Joints, Hamburgers, Monaville, The Thirsty Parrot. Bookmark the permalink.